* In vitro evaluation of the inhibition properties of ID-alG™ on pancreatic lipase and bacterial amylase. 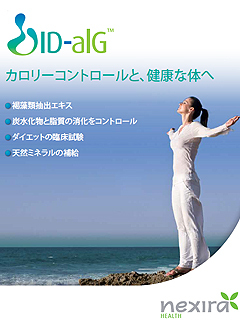 ** Evaluation of ID-alG™’s weight management effect on overweight women. Monocentric, randomized, placebo controlled clinical study run in March 2010, on 56 women using 400 mg of ID-alG™ daily for 8 weeks.